From the Moment you Arrive, you’ll tru1y be inspired by one of the most Captivating Spots in the Entire Island Chain . . . at the Magical Lae Nani Resort. 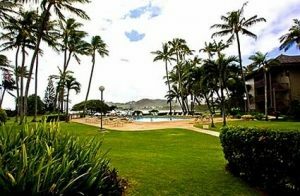 Perched on the Palm-lined and Plumeria Scented Royal Coconut Coast and located on the sacred “Path of Light,” the Views are Absolutely Sensational and the Award-winning Grounds & Gardens will Simply take your breath away! Home of Ancient Hawaiian Royalty at Stunning Wai1ua Bay, you’ll be captivated by the Swaying Coco Palms, while the sound of the Gentle Surf soothes your senses as you stroll along our own Crescent-shaped Sandy Beach . . . and the true “Aloha Spirit” of the Real Hawaii permeates the air. 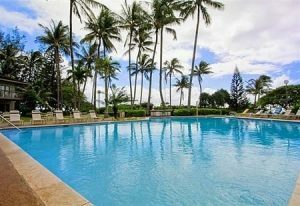 Relax In Tropical Luxury From your own Designer-Decorated 1-Bedroom or 2-Bedroom Oceanfront Kauai Condo Rental Appointed in an Island-Rattan Motif . 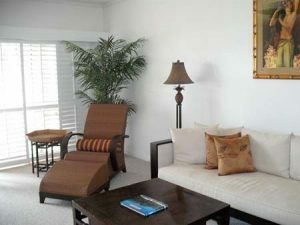 . . while soaking up the Splendor of the Magnificent Views from the Privacy of your-Double-Sized Lanai . . . Just Steps to the Sand! 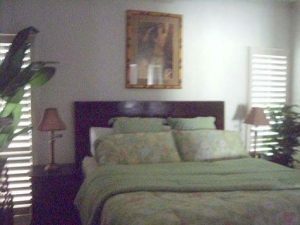 Additional Appointments of your Spectacular Tropical Paradise Vacation Getaway – Just Moments away from the Famous Fern Grotto and Towering Twin Falls – Feature Fully-equipped Kitchens with Blenders, Coffee Makers and Dishwashers; Oceanfront Master Bedroom Suites (many 2-Bedroom units); Daily Maid Service; Color-Cable TV & VCR’s, Your Home in Paradise is truly a Paradise of its’ own, as you delight in the Comfort of your Lae nani Retreat. Experience the Enchantment that Attracted Hawaiian Royalty from the Beginning of Recorded Time at this stunning Tropical Getaway . . . under the watchful ‘eye’ of Legendary “Sleeping Giant”, overlooking the entire Coconut Coast. Stroll our Award-winning Emerald Green Grounds & Gardens as the Fragrant Scent of Plumeria Permeates the air and delightful tradewinds Caress your Senses. Enjoy a refreshing Swim in our Gorgeous Heated Oceanfront Pool, take a walk Beachside on your own protected bay, Play a couple sets of Tennis on our Lighted Court . . . Or Just Lounge in our Oceanfront Strung Hammocks under the Magnificent Swaying Coco Palms. At Days end, prepare your Favorite Meal on our Gas BBQ’s, while enjoying another Magnificent Sunset. Welcome to Paradise Found…From your Own Beachfront Kauai Condo on the Magical “Garden Isle” Nest1ed on the Magical Royal Coconut Coast . . . at the Sensational Lae Nani Resort. You’ll Never want to Leave! 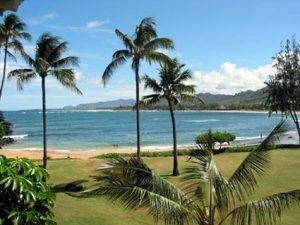 Your Beachfront Tropical Vacation Paradise Getaway Features your Choice of Beautifully Appointed l-Bedroom Condos that Accommodate up to 4 Guests; Or Stunning 2-Bedroom Oceanfront Kauai Condo Rentals – Many Featuring Oceanfront Master Bedroom Suites – that Sleep up to 6 People. All Linens & Towels Provided.